Although a popular gift during the 2015 holidays, schools across the country are banning hoverboards on campus and in dorms. Over thirty universities have set restrictions or outright banned the boards stating the two-wheeled devices are unsafe. The U.S. Consumer Product Safety Commission is investigating 28 fires in 19 states attributed to the lithium battery charged devices. The boards are also prohibited on New York City streets, and in California, riders must be 16 and wear a helmet. The boards have reportedly caused fires in homes and serious injuries to riders. Three of the largest U.S. airlines have also banned them citing potential fire danger. 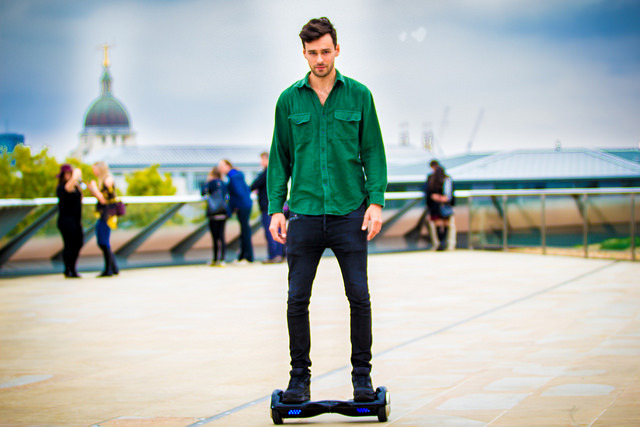 We suggest that you check your school’s rules to see if hoverboards are allowed on campus. It’s better to know in advance and avoid the risk of confiscation. Your school’s website (under Code of Conduct) may have a statement about hoverboards, or they may be included under the rules about skateboards, rollerblades or other motorized devices.